Description: Christian-Rocker with almost 30 years experience as a songwriter, recording artist and performer. The sound? A bit like the Beatles but mostly like Jim Yackel! The song Ashley has spent time at #1 on the UnsignedBandweb.com Christian Rock charts in June, 2009. The song Death Is Gone For Good has spent time at #1 on the UnsignedBandweb.com Christian Pop charts in June, 2009. Work is currently underway on the follow-up to the Agapé CD, titled So Very Soon. Lord willing, the album will be released by Fall of 2009. A five-song pre-release E.P. CD is currently available. Jim's song God Is Love spent time at #1 on the IndieHeaven.com Pop chart in April, 2008. 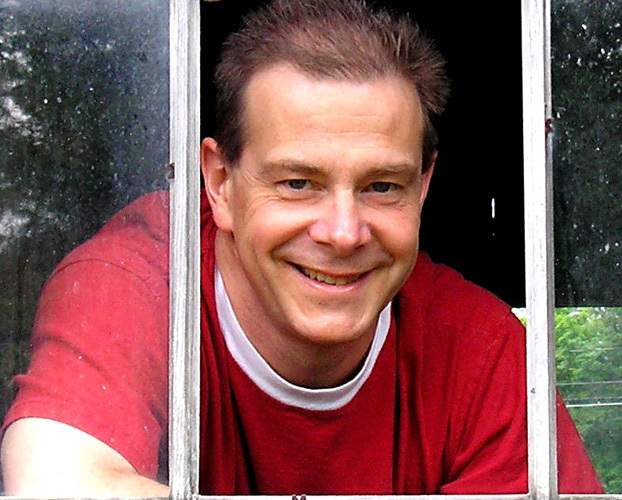 Jim Yackel was nominated for two 2007 MOMENTUM Awards, sponsored by the Christian Independent Artists Summit. Jim was nominated in the Male Vocalist of the Year and Rock Artist of the Year categories. Jim Yackel came to the cross and gave his life to the Lord Jesus Christ in 2000. Circa 2005, the Holy Spirit prompted him to become active again in music, which led to the 2007 release of his first Christian-Rock CD, titled AGAPE'. The influence of the Beatles can be heard in the melodies and chord changes, but the lyrics speak of Jesus, His free gift of salvation, and His soon return. Maranatha! Yackel began playing nightclubs on the "Thruway Circuit" in upstate New York in 1980. The bands and the personnel were in a perpetual state of flux; however Jim's Beatles influenced pop-rock writing style remained as his trademark. After years of pursuing the elusive recording contract, Yackel and his band Groovetown Fire Department independently released a CD in 1994. GFD did not last long after its lone recording venture, which prompted Yackel to go solo and release a cassette-only album titled "Petition" in 1996. In 1998, Jim Yackel retired from making music, believing that his exodus from music would be permanent. What he knows now and didn't know then was that the period away from music was but a temporary one. More accurately, Jim's "retirement" was a change of season and a time for restoration, which would lead him to being born again through Christ Jesus. Jesus gave him life everlasting and a new purpose in music making.